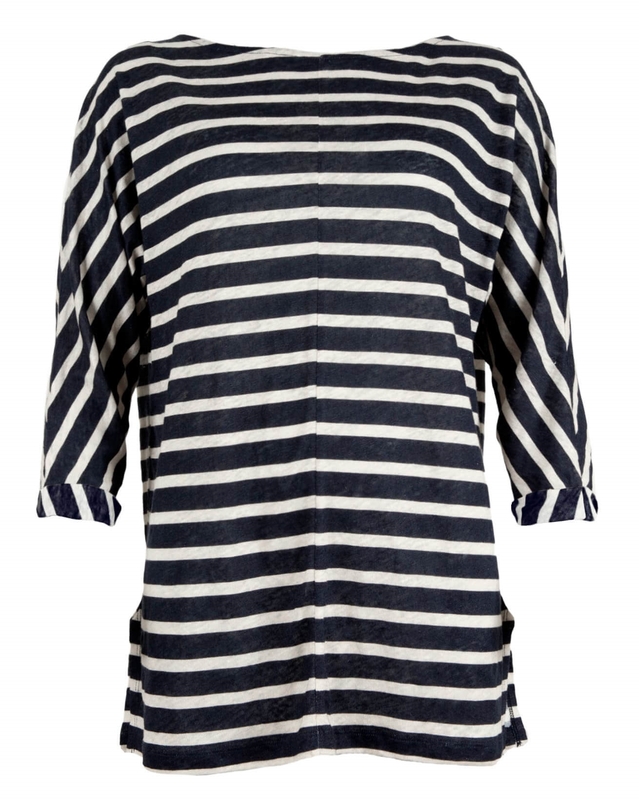 An easy-to-wear wardrobe essential in pure, breathable linen jersey. 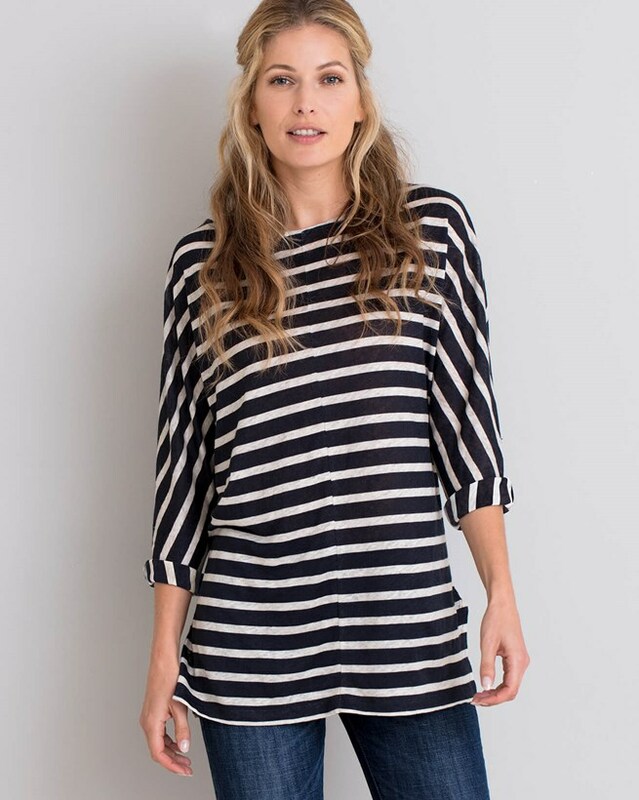 This clean and simple top with ¾ length sleeves is designed for an easy fit, with relaxed turned-back cuffs and a centre seam detail. Made with 100% Linen - Linen is lightweight and breathable, allowing cool air to pass through and keep skin cool and comfortable. Linen is a natural hypoallergenic and antibacterial fibre – the perfect choice for warmer weather. Beautifully made, quite fine material but not very see-through. Very pleased with the purchase, generously sized. 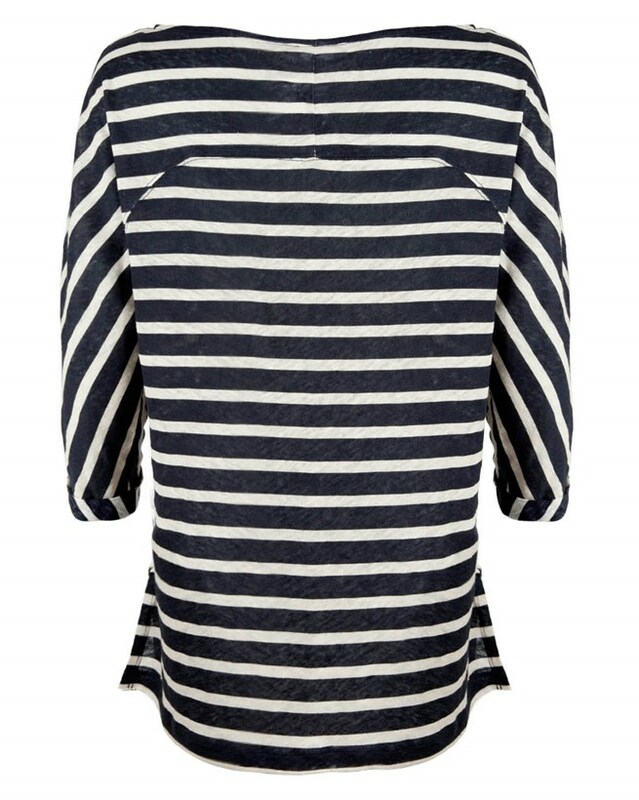 I was so happy with this tunic that I immediately ordered another in the alternative colour. Yes, I too love the way it drapes and also the cut across the shoulders and back. Lovely item, not too thin and perfect for the summer. A bit big so you may want to size down. I'm 5ft 11 and need a long length and this is ideal. Pity it doesn't come in other colours.